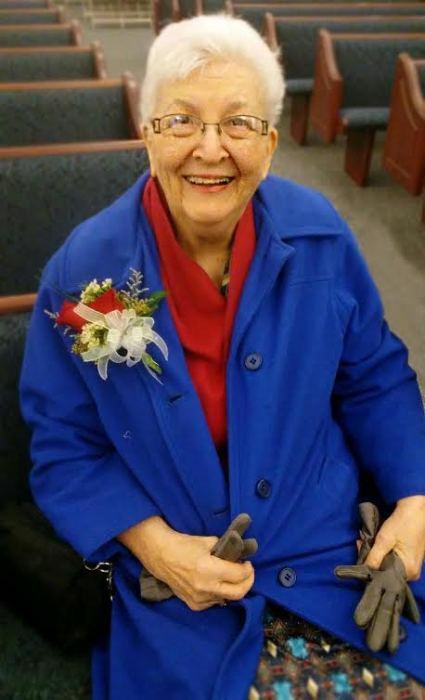 Mrs. Barbara Jean Coleman, 86, wife of the late Avery Lewis Coleman, died Tuesday, December 4, 2018 at her residence. Born in Washington D.C., she was the daughter of the late John Waesche and Florida Jenyuv Homiller Waesche. She was preceded in death by her son, Bruce Avery Coleman. A graduate of Anacostia High School in Washington, D.C., Mrs. Coleman dedicated her life to children at home, at work, and at church, where she was an active leader in Cub Scouts and women’s Relief Society, and was a missionary with her husband in the Caribbean. Survivors include her sons, Mark Allan Coleman, Gary Richard Coleman, Keith David Coleman, and Joel Lee Coleman, all of Maryland, Paul Brian Coleman and Dan Jared Coleman, both of Utah, daughters, Linda Carol Pugmire, Seattle, Laurie Jean Gordy, Utah, Gail Elaine Coleman, Florida, Ellen Janice Stander, Athens, brothers Earl Waesche and Lakin Waesche, daughter in law, Gloria Coleman, 65 grandchildren and 72 great grandchildren. Funeral services will be held Monday, December 10, 2018 at 11AM at the Church Of Jesus Christ Of Latter-day Saints on 1080 Julian Drive, Watkinsville, GA with Bishop Brian Whigham officiating. Visitation will be held Sunday, December 9, 2018 from 7PM to 9PM at Lord and Stephens Funeral Home (East) and 1 hour prior to the funeral services at 10 am. Pallbearers will be Mrs. Coleman’s sons and honorary pallbearers will be grandsons. Burial will be held at Athens Memory Gardens.